Steve Larvin has been leading the company through an all-encompassing change process for the past two and a half years, ever since he started as Managing Director at Village Glass. Once he arrived, he saw a huge opportunity for the company to raise both output levels and quality to reach a new standard of glass for the growing commercial and high-end sector in the UK. “As our investment plans got underway, the former name, Village Glass, just didn’t seem appropriate any longer for the company. So while promoting a complete cultural change, we decided to rename the company to be in line with our future focus,” he says. 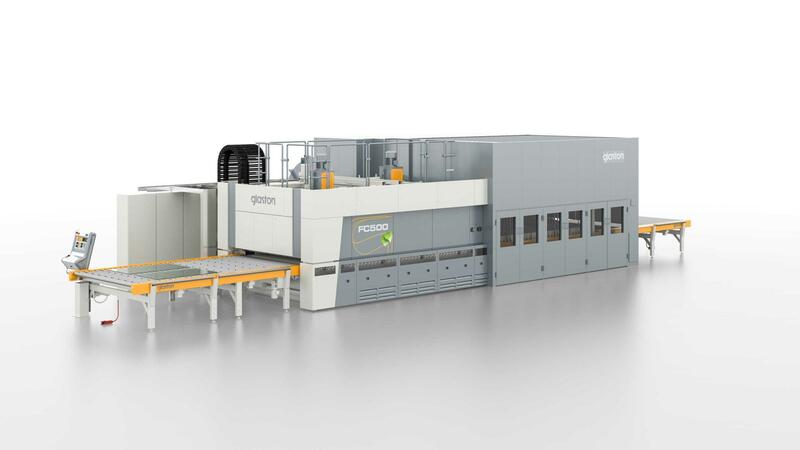 One of the key components of Euroview’s investment has been the new Glaston FC500 flat glass tempering furnace with the UK’s first iLooK online glass quality measuring system. Today, the furnace is proving its worth. It provides greater output and is capable of running larger glass sizes of up to 6,000 x 3,300 mm. This has enabled Euroview to cut its turnaround time to just over a week. For Steve, the ability to get feedback on how much glass is being produced and the quality in terms of roller wave, edge lift and actual sizes has been very important. For him, this is exactly the intelligence he needs to maintain a leading edge with customers and develop his business.